When you need a plumber, it’s important that you find one that offers the dependable service and quality results that you need. At JC Plumbing, we offer a full range of plumbing services, including leak detection, drain cleaning, fixing a broken toilet to residents of Fayetteville. 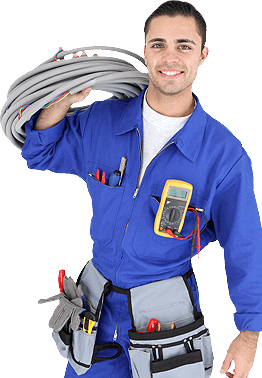 In fact, we are committed to making sure that you always get the very best in plumbing services, so we offer fast, affordable, 24/7 emergency plumbing service for those times when you simply can’t wait for normal business hours. At JC plumbing, we know that your family relies on having dependable water when they need it. Whether it’s a shower head that’s broken, a new refrigerator that needs to be connected to a water line or you’ve added a much-needed bathroom for your growing family, when you need plumbing services, it’s essential to make sure that you have a company that is dedicated to providing the exceptional results you deserve. Most homeowners never give a great deal of thought to the various appliances and household items that rely on water. However, when there’s a problem, it becomes a serious issue. Even if it’s just a drain that doesn’t seem to drain properly or it’s your dishwasher that’s not getting hot water, at JC plumbing, we have an experienced plumber who will be able to evaluate the problem and get it resolved as quickly as possible. When you need plumbing services, JC Plumbing is here to help. There is no job that is too big or too small. Our goal is to make sure that you get the service you need in a fast, professional manner. We are happy to ensure that our customers are always satisfied, so never hesitate to give us a call.